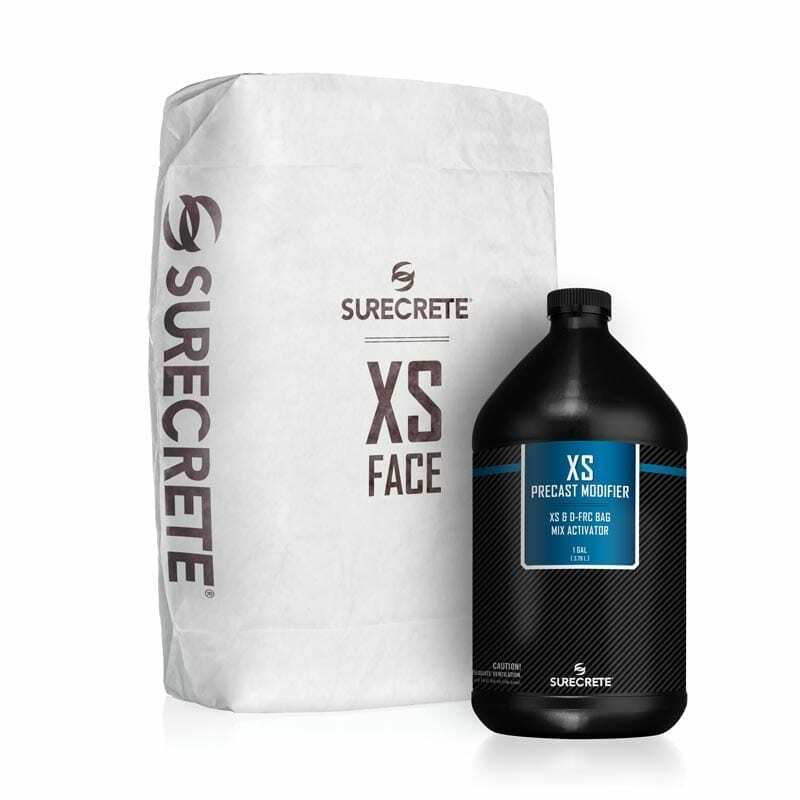 XS GFRC Face Mix is a dual component cement based bag mix that perfectly reads the mold or casting surface providing a near flawless precast casting for countertops, furniture, tiles and wall panels and much more. 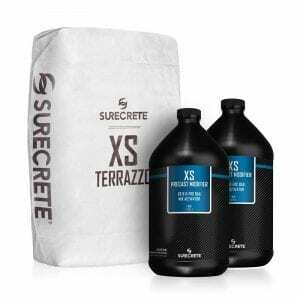 Xtreme Series Face Mix is available in a gray and white cement-based mix. 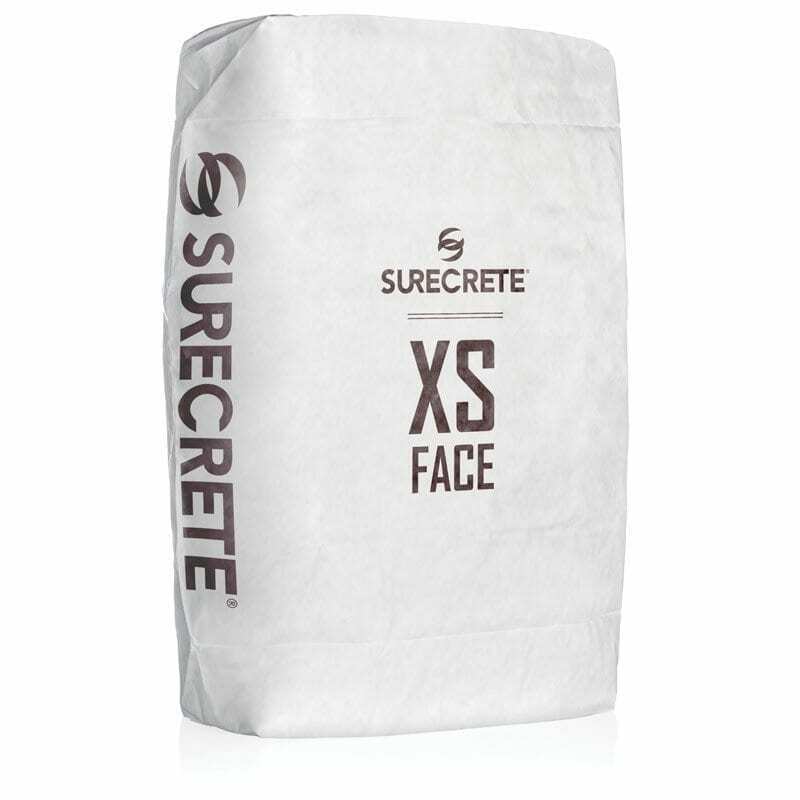 SureCrete’s XS GFRC face mix is a dual component cement based bag mix that perfectly reads the mold or casting surface upon which it is placed, providing a near flawless precast piece. It is not a “stand alone” mix but is designed to be used in concert with XS Precast or XS Backer. XS Face significantly reduces the materials and labor required to construct traditional precast concrete. Reinforcement steel is eliminated, thinner precast pieces are routine, quicker production times are accomplished, and no “B” mold is required. A stronger, denser and more flexible cementitious composite is created by combining cutting-edge technology with modern fiber advancements. With a broad range of coloring and texture selections along with the manipulation of water demand and placement, design considerations are nearly limitless. XS Face produces concrete countertops, fireplace mantles and facades, shower surrounds, wall panels, furniture and many other architectural elements. 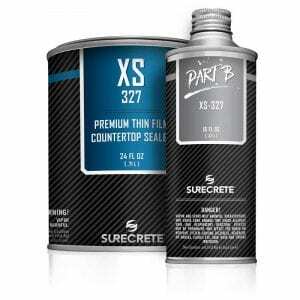 XS Face is the perfect medium for residential, commercial, and industrial applications. 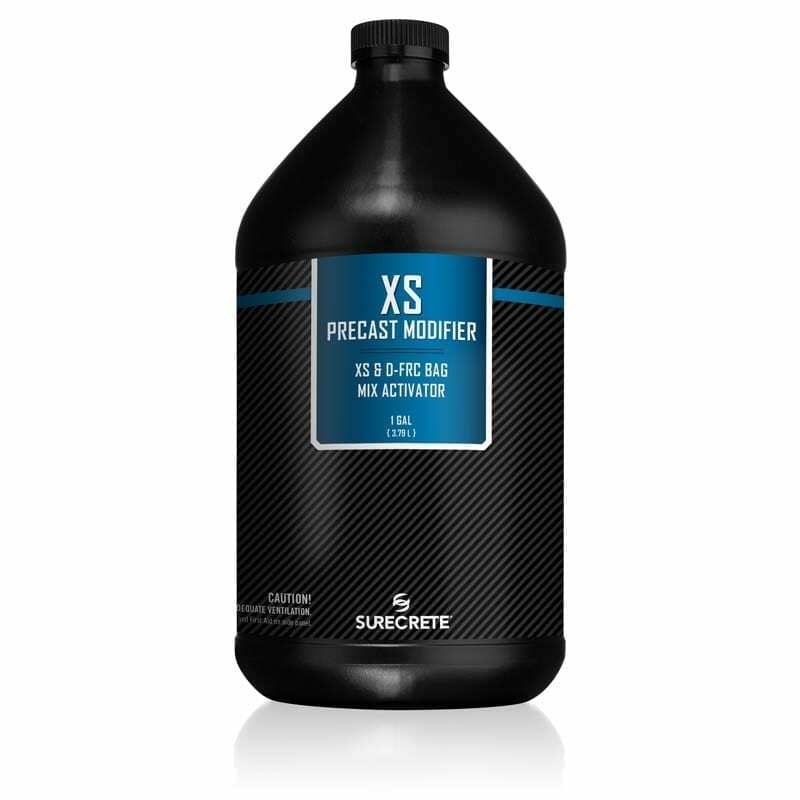 This product was specifically designed for precast concrete fabricating professionals looking to mass-produce furniture and other precast pieces that require complex, three-dimensional molds but need to still maintain a consistent look and smooth texture across all surfaces. 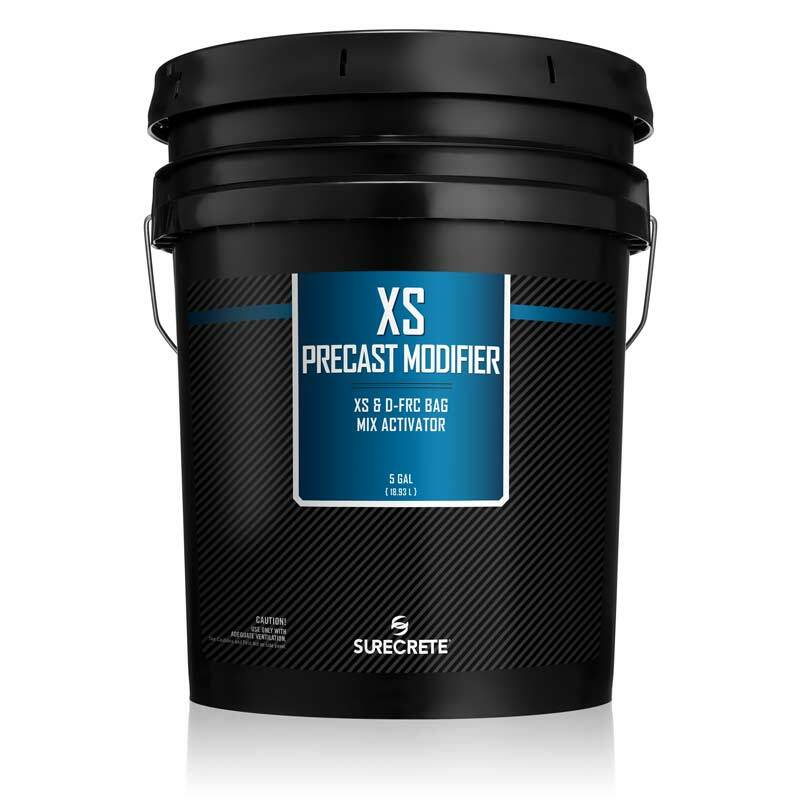 Through the use of a hopper gun or similar spraying equipment, XS Face can be applied with near identical consistency across a multitude of surfaces and shapes, allowing for the creation of some spectacular architectural pieces at a fraction of the work time of conventional cast concrete. Try it out on your job site or DIY project today to see how your pieces will shine and improve with this fantastic product. In addition to XS Face, which is made available in a white Portland cement formula and can be colored accordingly, SureCrete has partnered with CHENG and The Concrete Exchange to make a vibrant grey-portland formula available in the form of the CHENG D-FRC Spray Mix. D-FRC Spray Mix is an advanced, and fiber-reinforced concrete formulated to allow saturated colors in a convenient dual-component package. CHENG D-FRC (Decorative Fiber Reinforced Concrete System is engineered for precast concrete professionals who demand time and labor savings combined with maximum design flexibility including large format capacity. When coupled with the CHENG SmartColor System, a vast array of vibrant color tones are available. 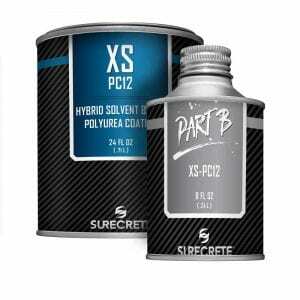 How Do You Apply SureCrete XS GFRC Face Mix Glass-Fiber-Reinforced-Concrete Spray Casting Mix? 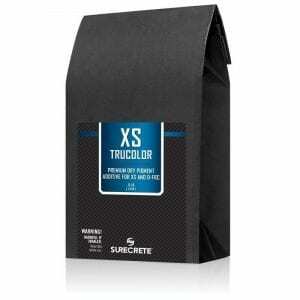 In a 5-gallon bucket, pour in XS Modifier and any powder colorants you want to use to color your mix and mix thoroughly integrally, slowly adding the XS Face dry contents from the bag. In an upside-down, reversed mold on a flat surface (typically Melamine or a similar material is used as a base) apply XS Face. Depending on the thickness, you may pour or hand pack XS Face into the mold, but it was designed specifically to be used wth spraying equipment such as a hopper gun. Your new XS Face surface is now ready to receive a coat of sealer and be finished! Congrats on your newly cast concrete surface! Question: How long do I have to leave XS Face in the mold? Answer: In most climates, 4-6 hours is sufficient. In much colder temperatures, extend that time to 8-12 hours, but don’t leave it in the mold any more than 24 hours. Question: Can I use GFRC Face Kit in a Pour-In-Place project? 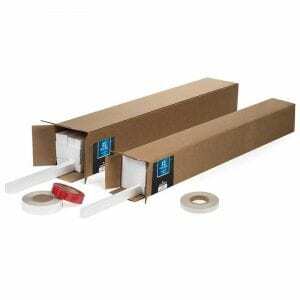 Answer: No, we would not recommend this use as it is only meant to be a thin coating product. Question: Can I grind and polish GFRC Face Mixes? Answer: As it is a very thin coating, you need to be very careful when grinding and polishing and always remember that if you intend to apply a sealer, you should go no further than a 400 grit finish. 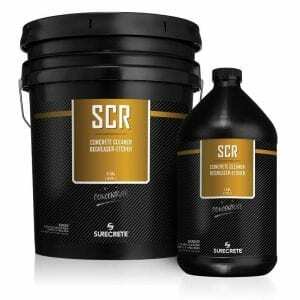 Question: Can I use XS GFRC Face Mix outside? Will the pieces I make freeze and break? Answer: As long as it is always used in conjunction with either our XS Precast or XS Face products, it will maintain their properties and as such is a great product for outdoor use, even in extreme freeze/thaw climates where rapid temperature changes can be an issue. XS Face Mix Modifier 1 Gal.